We believe that good business means caring for the community and being responsible stewards of the environment. As a former humanitarian and U.S. servicemen, it was important to build a socially conscious, people-oriented business with integrity—a business with heart. As a company in the marine industry, we recognize it is vital to support ocean and sea-life conservation efforts—understanding that we are intrinsically interconnected to our environment. We have been able to give back to the local community through active participation in local beach and waterway clean-ups. FHG has also been able to donate technical skills and expertise to international marine wildlife conservation organizations, such as the Sea Shepherd Conservation Society onboard the M/V John Paul DeJoria. The M/V John Paul DeJoria is among the vessels used in Sea Shepherd’s direct action campaigns against illegal fisheries’ activities as seen in on the TV show “Whale Wars”. While docked in South Florida, FHG was able to assist the vessel in finding and repairing air leaks in the fuel system. It was a wonderful opportunity to assist, meet the crew, and learn more about their brave and unique mission. FHG Marine Engineering is also an official partner of ECO-MER’s “Yachts du Coeur” a French humanitarian organization, which distributes aid worldwide to areas affected by natural disasters. 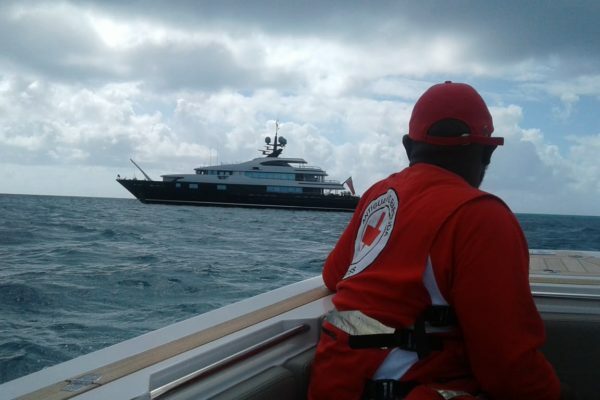 In December 2018, FHG facilitated the humanitarian coordination logistics for ECO-MER and M/Y Slipstream’s post-hurricane relief mission to Barbuda from Palma, Spain. 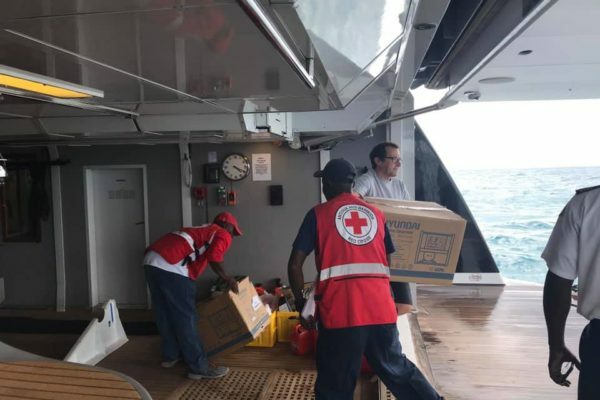 The yacht aid delivery provided much needed construction materials, generators, and medical supplies to Barbuda’s Primary and Secondary School, Hospital, and the Barbudan Red Cross for their rebuilding efforts. FHG Marine Engineering is always looking for new and innovative ways to connect with our local and global community, so please feel free to contact us. We are a marine engineering company that provides maintenance services to luxury yachts and large sport fishing yachts serving international clientèle including private yacht owners, yacht captains and dock masters. Our services cover diesel engines, electrical systems, hydraulics, refrigeration and more.